Avery custom zippered cotton pouch great for tech gear and more. 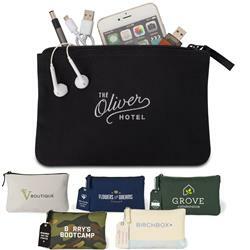 Custom Pouches are hot - they are great travel giveaways, trade show gifts and more. 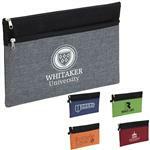 Top zippered closure secures contents with interior pocket divider for additional organization. Coated canvas zipper pull and customizable decorative tag adds an additional creative way to brand your bag. Decorative tag is made of canvas with a ball chain attachment. 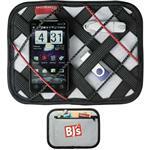 Great for tech cords, cosmetics or as a travel bag.